Lucknow: Punjab got rid of them. But Uttar Pradesh will have to live with the laal battis, the red beacons atop cars that are considered the ultimate status symbol. 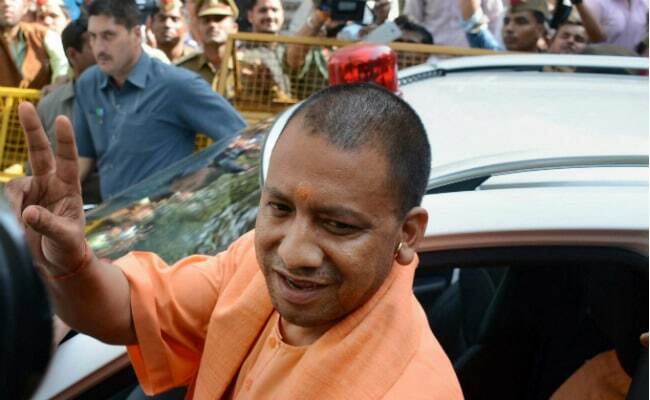 Uttar Pradesh Chief Minister Yogi Adityanath has decided against making the state's ministers give up the red beacons on their cars but asked them to give up the hooters and sirens. Mr Adityanath has urged "all his ministerial colleagues to shun siren and hooters as they create noise pollution," Cabinet Minister Siddhartha Nath Singh told reporters. Mr Singh, however, made it clear that the red beacons would stay. "As a minister, I am entitled to red beacon. It is non-noise polluting unlike the hooters and sirens," he said, rebutting media speculation that Mr Adityanath would, like Punjab Chief Minister Captain Amarinder Singh, make his ministers sacrifice the status symbol. But hooters and sirens, that Mr Adityanath urged his cabinet colleagues not to use, have been more than just a public nuisance in most parts of the country. They are illegal too. The Central Motor Vehicles Rules - that spells out what is legal on the country's roads and what is not - only permits emergency vehicles such as an ambulance, police and fire engines and heavy construction vehicles to use hooters. The central rules do not empower states to exempt anyone from this rule but policemen rarely penalise government or ministerial vehicles that routinely flout this provision. It is forcing 'dignitaries' - as the law refers to those entitled to use beacons - to give up this privilege that has been a bigger challenge. The Supreme Court, that has frowned at the government's reluctance to amend the rules, has tried to nudge the central government into action. Union Highways Minister Nitin Gadkari too had proposed to strip all except a handful of constitutional authorities the privilege but has not been able to see the proposal through. Union Minister Uma Bharti was among those who spoke this week in favour of letting ministers retain the red beacons. She said there would be more problems, and accidents if official vehicles of ministers did not have the "red light" (beacon). She argued that the government would get delayed if ministers weren't able to use beacons and had to spend more time on the roads. It is argument that the top court had rejected back in 2013. "How is working capacity enhanced by having red lights?" the court had asked dismissively.